The Pollinator Link garden is also a bushfood garden allowing us to harvest a feast of Large Fruited Raspberry Rubus probus. The native raspberry plants came from the B4C Nursery. Great fruit larger than what you will buy at Woolworths but for a home garden plant in a large pot to keep from suckering. More community building and succession planning. Admiring the work of Mr Walsh’s Year 10 students who are budding engineers and hydrologist!!! Planting twenty new butterfly attracting creepers and grasses on bottom bank to hold the soil from being washed into school drains and then rivers. Check out the pink tapes. 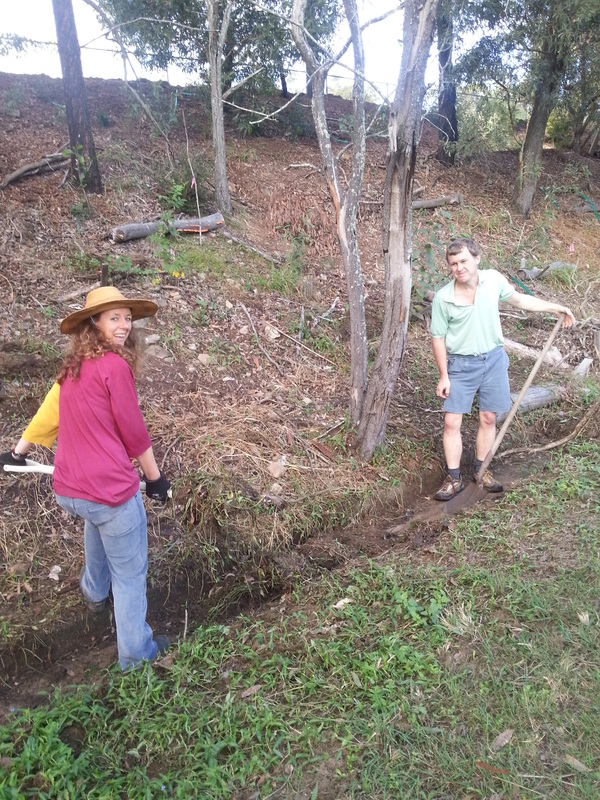 Digging out and cleaning the drains of rich worm laden sediments and putting them back on the slopes for our plants!! 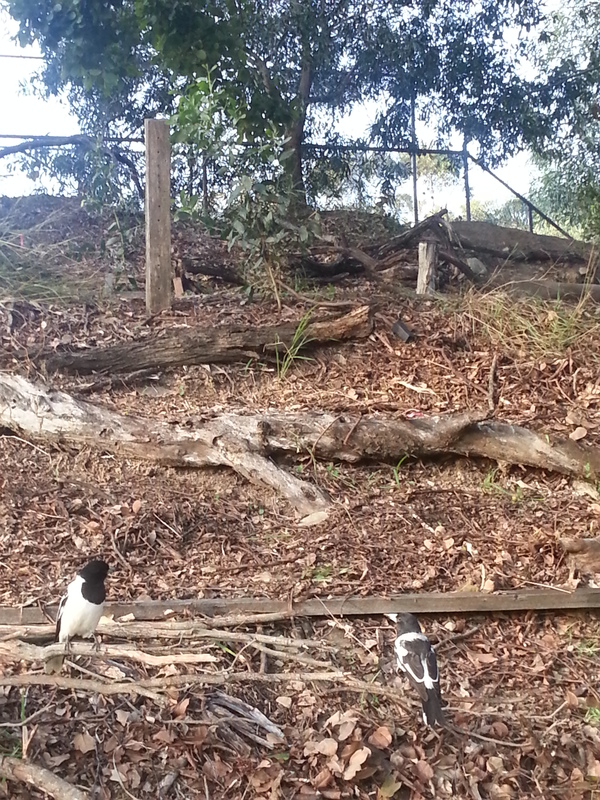 Well some worms and ants became Butcher Bird bushfood while we tucked into home made honey, apple and almond syrup cake and steaming ginger teas. Children in the street are now remembering names of plants and birds and bringing their own binoculars to learn about their local birds!! 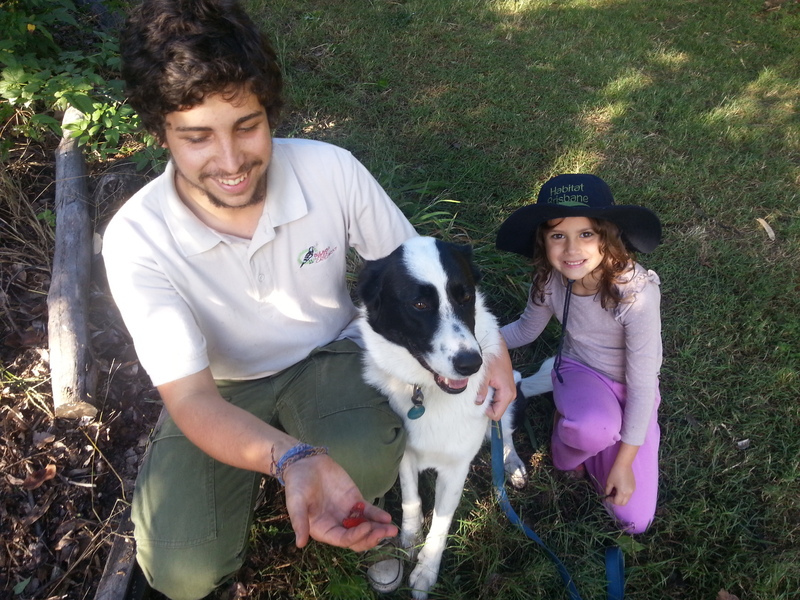 This entry was posted in Pollinator Link and tagged bushfood, butcher bird, Large Fruited Raspberry Rubus probus. Bookmark the permalink.